I can't really imagine there is anyone reading these lines who hasn't tried Newcastle Brown Ale, so there seems little use in describing its taste. But a Geordie friend's gift of a bottle, flown direct from the source (Thanks, Christine! 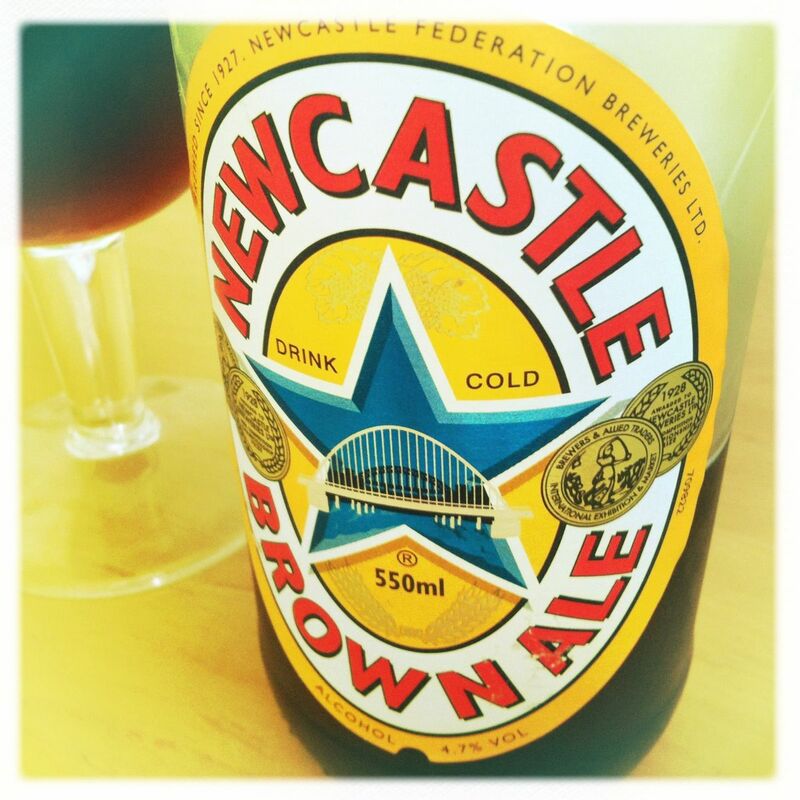 ), does seem a good opportunity for me to share my one and only Newcastle story. It was back in 1997 or thereabouts, and I was working as an interpreter for the British Army conducting joint exercise with the Czech Army. We eventually got down to Wales for the actual field practice, which included live-fire exercises. I’m relatively familiar with small arms, but helping call in the coordinates for artillery fire was a bit chilling. You really don’t want to confuse the interpretation of those kinds of orders. But nothing had prepared me for a night in Newcastle. The young Czech recruits doing their national service were amazed, and I felt I was every bit as much the farm-boy abroad as some of them literally were. They were asking me all sorts of questions, and while occasionally during that job I was often at a loss for the right Czech word, in Newcastle’s bars, I didn’t even have English words for what I was seeing. The Czech guys turned out to be, um, let’s say “popular” with a number of Geordie women. “Is this normal in Britain?” they asked, this being their first visit to the country. “Things are a bit tamer elsewhere”, I said, “like in sleepy London”. Nothing these soldiers had learned in their military training could help them fend off this kind of assault. Towards the end of the evening, we had to pull away most of the Czech guys from the remora infestation that had set in. But as we got on the bus, a pack of at least 20 women who had followed them out started flashing the bus. Then they walked alongside the traffic-bound bus, continuing to demonstrate their wares to the hapless Czech soldiers who were all about to head out the next morning to a soaking-wet, sheepshit-covered, Welsh hillside for several weeks. I had to dig around in the back of my brain for the Czech words for “desertion” and “court martial”. It was Newcastle Brown Ale that powered that jarringly unforgettable evening, and I can’t take a sip of the thin, slightly sweet and nutty nectar without recalling that experience. “Smells like a British pub”, says Fiona. Good story Andrew. Newcastle is an odd place. I was there last weekend and wandered by the new Brewdog bar there. In Camden, the Brewdog bar is mostly populated by beardy craft beer fans. In Newcastle it was full of overly enthusiastic Geordie lasses in short skirts. No idea what they were drinking, but I doubt it was Tactical Nuclear Penguin.